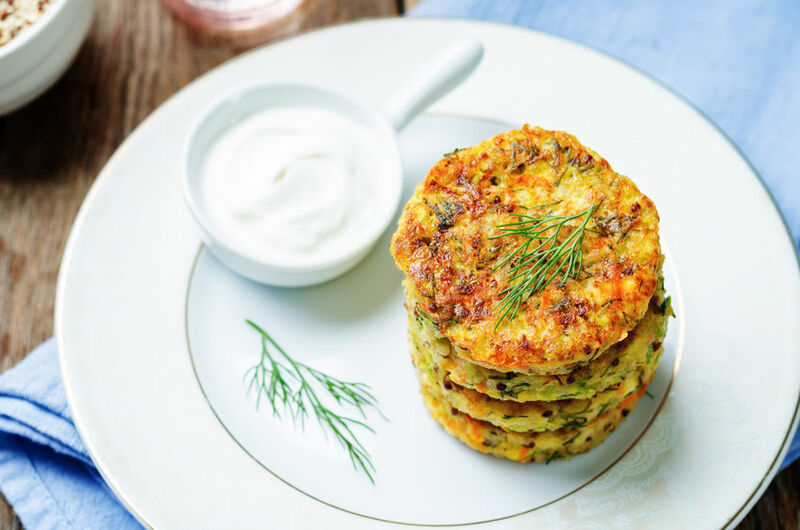 Serve these tasty zucchini fritters with roast veggie salad for a delicious, light and healthy meal in any season. In a bowl, place the zucchini, eggs, garlic, fetta, herbs, s and p and chickpea flour and mix well. Heat your oil in a frypan and drop tablespoonfuls into the oil. Cook for 3 – 4 minutes on either side until browned and cooked in the middle. Drain on paper towel.